You are here: Home / Why Do Dogs / Why Do Dog Feet Smell Like Fritos? Have you ever noticed a corn chip smell coming from your dogs feet? If so you’re not going crazy, and you’re certainly not alone. Many dogs have a corn chip (or popcorn like) smell coming from their feet. It’s known as “Frito feet,” and although it’s a bit strange it is completely normal. So why do dog feet smell like Fritos? One common theory is that the corn chip smell on a dogs paws is caused by excess corn in their diet. And although a healthy diet is always important it’s not the cause of that corn chip smell on your dogs feet. 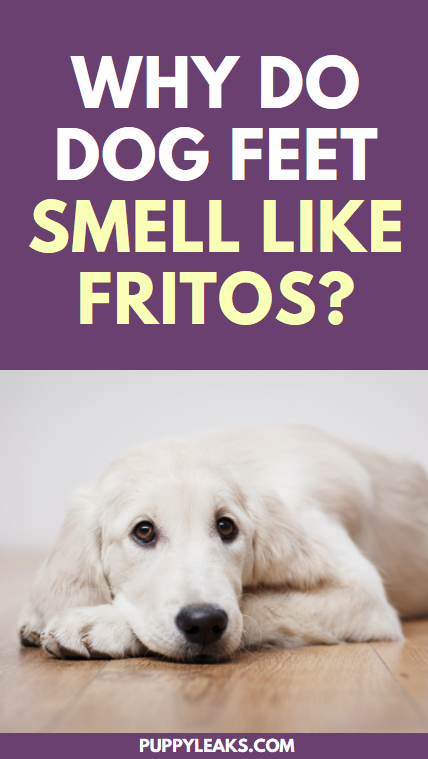 Here’s the real reason your dogs feel smell like Fritos. Dog feet are a thriving host for bacteria, mostly Proteus or Pseudomonas. Both of these common bacteria give of a yeasty type smell. 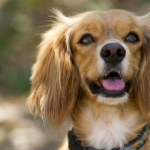 Humans sweat glands are distributed over much of the body, but dogs only sweat from their paws. And since there’s not a lot of air circulation moving in between your dogs toes that moisture leads to a build up of bacteria. 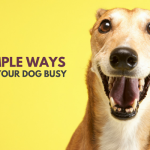 Bacteria thrives in your dogs paws, and that’s what causes that corn chip smell, or as I like to call it ‘frito feet.’ But don’t let all this bacteria talk alarm you – it’s all completely natural. The same microorganisms that give your dogs feet that corn chip smell are the same ones that cause body odor in us. It’s nothing to be alarmed about. 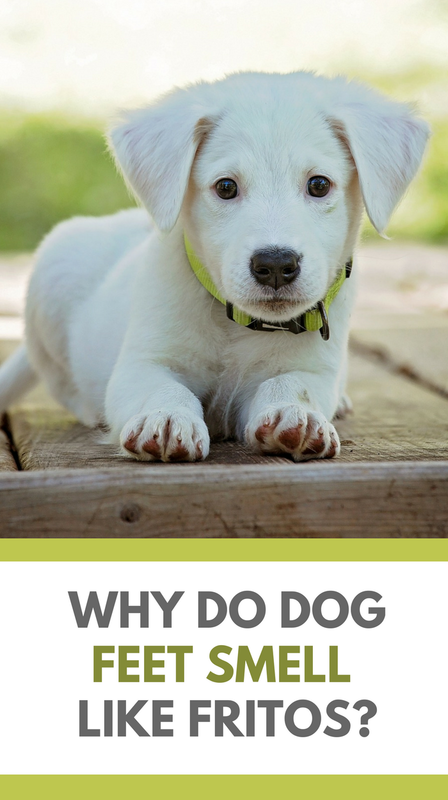 Your dog has trillions of bacteria living on its skin, even if he’s the cleanest dog in the neighborhood. As Bill Bryson states in A Short History of Nearly Everything, “If you are in good health and averagely diligent about hygiene, you will have a herd of about one trillion bacteria grazing on your fleshy plains—about a hundred thousand of them on every square centimeter of skin.” So when it comes why dog feet smell like corn chips it’s due to all that bacteria, and yes — it’s completely normal. That corn chip smell on your dogs paws is normal. It’s caused by the same bacteria that gives us body odor. Dogs sweat through their foot pads, so any sweat that gets trapped between their toes can build up and create a strong odor coming from their feet. 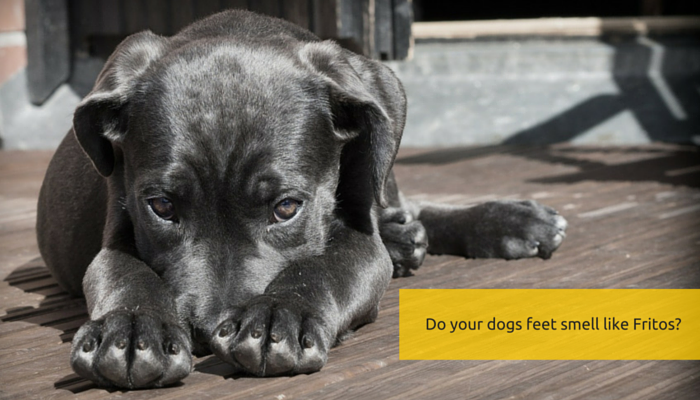 If you’d like to prevent the build up of sweat you can trim your dogs fur around their toes. 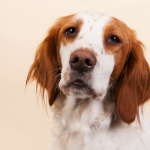 Place your thumb in between your dogs toes, and use a hair trimmer to carefully trim the fur around the pads. After you’ve trimmed the fur thoroughly bathe their feet. Shampoo, lather, and rinse each of their feet thoroughly. This will remove any remaining build up of sweat and debris. That corn chip smell on your dogs feet is completely normal. It’s a result of natural bacteria collecting between their toes and producing that Frito feet smell. 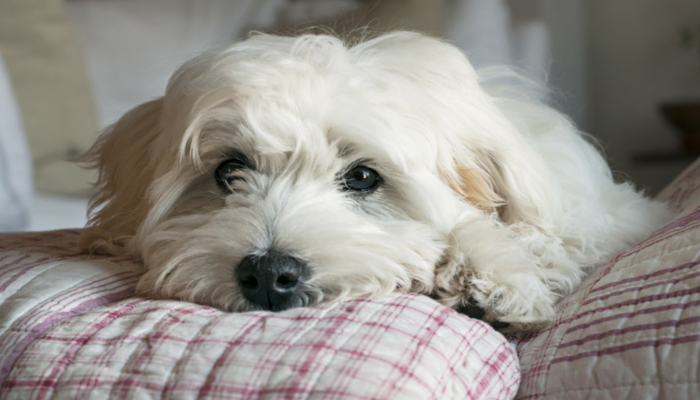 If that smell isn’t one you fond of you can reduce the odor by keeping your dogs paws well groomed & clean. But for the rest of us? Well we don’t mind that frito feet smell at all, many of us find it endearing. Do Your Dogs Feel Smell Like Corn Chips or Popcorn? Do your dogs feet smell like Fritos? Or do you think they smell more like corn chips or popcorn? Does it bother you or do you find it endearing? Why Do Dogs Steal Laundry? 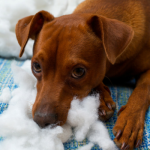 Why Do Female Dogs Get Blamed For Dead Grass? The bigger question is why don’t people say Fritos smell like dog’s feet? I find it interesting that the natural smell of a dog’s feet is an odor people like. Mother nature is amazing!. I LOVE MY DOGS FEET THEY SMELL SO GOOD PLUS THEY ARE ATTACHED TO THE MOST BEAUTIFUL CREATURE AND SOUL IN THE WORLD. My kitties LOVE to smell the dogs feet, especially when he comes in after his walk. The dog gets a little huffy when they do this, but I think it’s really the cutest thing. Since dogs existed long before Fritos, the real, and more disturbing, question everyone should be asking is not why do dog feet smell like Fritos, but why do Fritos smell like dog feet. You’ve made an excellent point. Apparently Fritos have only been around since 1932, and I’m pretty sure dog feet have a much longer history.